Joe Jackson Suffers Mild Stroke - kaycee Weezy! Joe Jackson is reportedly recovering well after suffering a mild stroke. 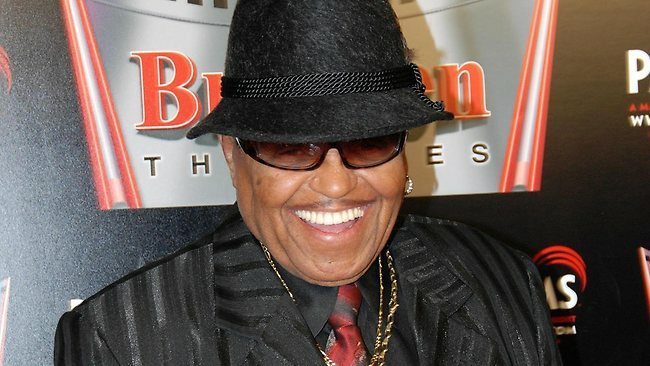 The 84-year-old Jackson family patriarch was rushed to a Las Vegas hospital after on Thursday morning. He has been grappling with health issues for some time and has suffered two similar strokes in the last five years. Since he sought care quickly, his loved ones are hoping that his prognosis for a quick recovery will be positive. “The good thing is that he was taken immediately to the hospital as he was with a couple of people at the time,” a source close to the family said. The Jackson family is currently embroiled in a bitter feud. Matriarch Katherine, who is mother to Janet, Jermaine and Randy, is said to be furious with her brood as the fallout over tragic Michael’s estate continues. Her children Janet, Rebbie and Randy are apparently banned from entering her house, which is rented through the Michael Jackson estate and is also home to his three children after the siblings demanded the executors resign because they claim his 2002 will is a fake.